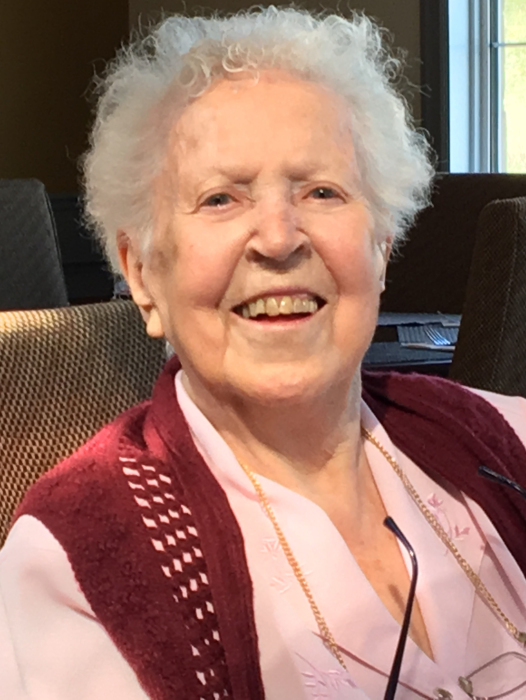 Mrs. Dorothy Howsam of Hinton Alberta passed away peacefully on April 7, 2019 at the age of 97 years. She will be lovingly remembered by her son Oran and his wife Bibianne, her grandchildren, Melissa Weik (Dan), Lindsay Carter (Bill), Jeremy Howsam (Kamila), Kristin Atkinson (Michael) and great grandchildren, Avery and Emerson Weik, Taven and Reid Carter, Asher and Alistair Howsam. Dorothy was born May 21, 1921 in Tessier, Saskatchewan. She lived in Tisdale while she was married and raising her family. She later moved to Saskatoon and lived there until moving to Hinton in 2007 to be closer to her family. Dorothy was predeceased by her parents Orville and Marjorie Miller, her husband Jack Howsam, infant daughter Carol, son Kim Howsam, and her sister Betty Bentley. A funeral service will be held on April 22, 2019 at 11:00 at Our Lady of the Foothills Catholic Church in Hinton. The family gratefully requests that no flowers would be sent.